NEW YORK (WABC) -- An investigation into drug trafficking in New York has led authorities to a much larger scheme that's been defrauding the elderly out of hundreds of thousands of dollars. Investigators say Ricardo Castang, 35, was the ring leader of a nationwide fraud scheme that told victims they were winners of the Publishers Clearing House sweepstakes. The DEA's New York Organized Crime Drug Enforcement Strike Force discovered through Castang's phone and bank records that he'd been responsible for scamming over two dozen victims in the United States, including an 80-year-old in Manhattan, out of more than $300,000. 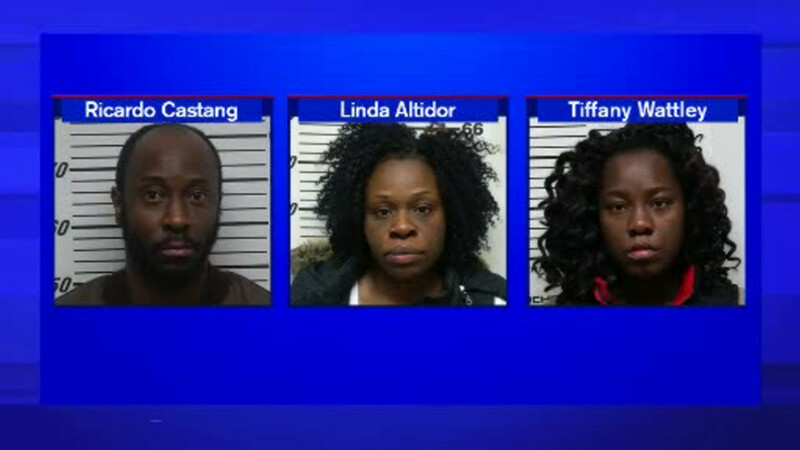 Castang had already been in custody since last year after he was accused of receiving U.S. Mail packages that contained cocaine from Costa Rica, but DEA agents arrested his wife Linda Altidor, 30, and Tiffany Wattley, 25, of the Bronx on Wednesday morning. Castang and Altidor were charged with first-degree scheme to defraud and money laundering charges, while Wattley is only facing money laundering charges.